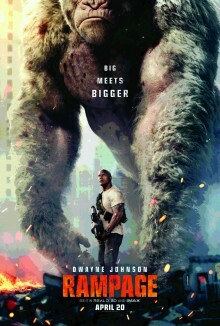 To enter for a chance to win a free movie pass (ROE – Run of Engagement Pass) for “RAMPAGE”, send an email to contest@LatinoScoop.com. When entering, please submit your full name, email address and phone number. LatinoScoop will select a few winners. Winners will be notified via email. Enter RAMPAGE in the subject line.